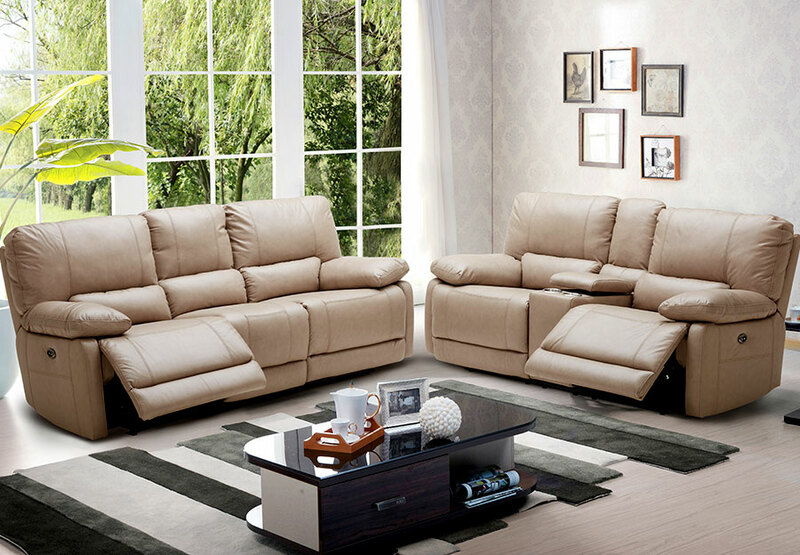 Relax in style and comfort when you surround yourself with the irresistible feel of fine leather with the Maui reclining collection. 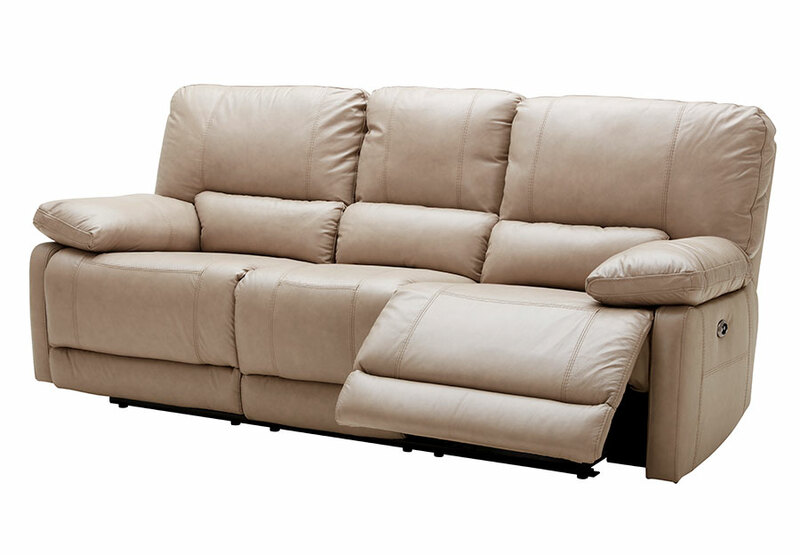 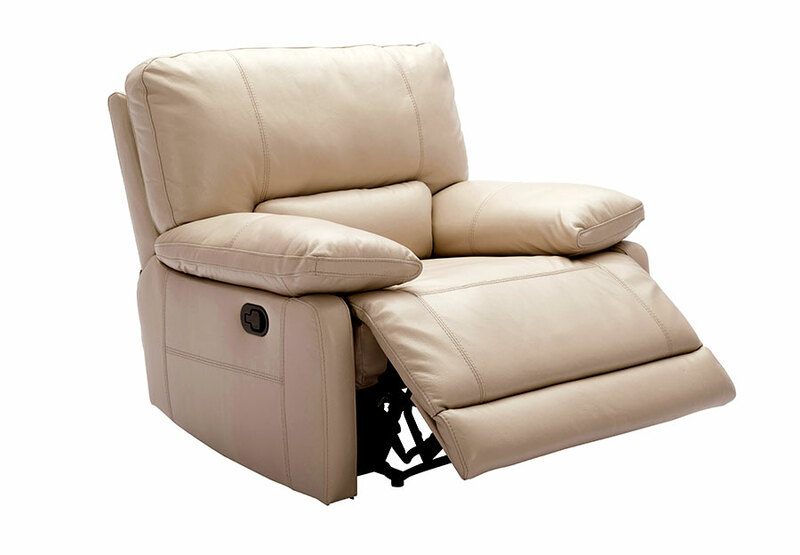 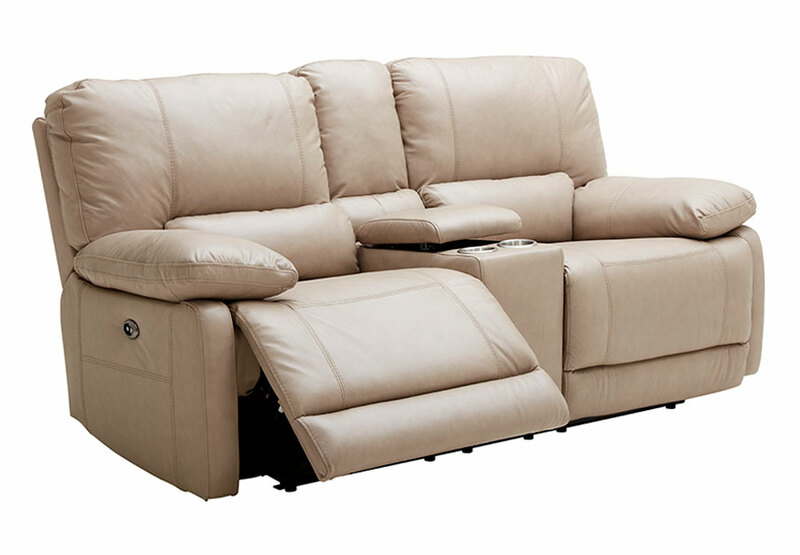 Thick, chaise seating, pillow top armrests, and the choice of manual or power recliners makes the Maui the ideal comfort choice for your living, family, or media room. 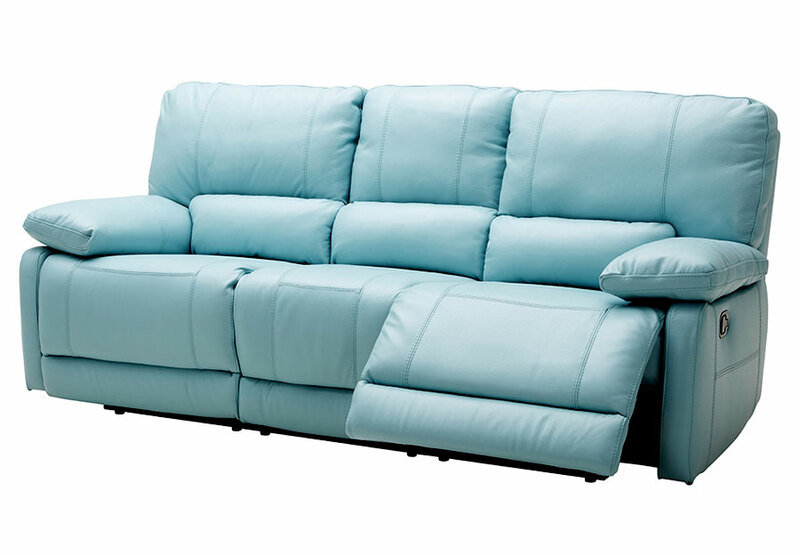 Available in Sand or Light Blue.